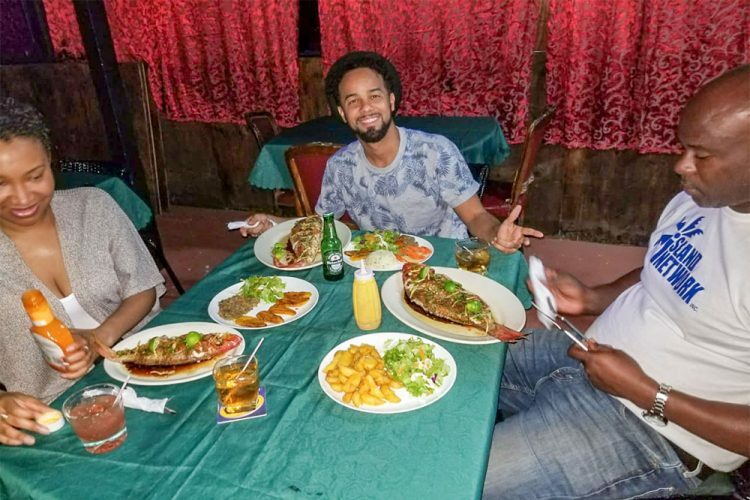 Dean Clouden, the proprietor of local seafood restaurant, 4 Shells, is confident that his restaurant would be able to cop more than one award, were there more categories included in the Interactive Media’s Best of SVG awards. The restaurant, which has been open for close to two years, was voted Best Seafood in the 2018 staging of the people’s choice styled award ceremony. And the ambience and wide menu options are quite likely some of the reasons for that outcome. “Without a doubt, I think all our customers are very much happy with what they see. Both inside and outside, if you’re looking for natural air, then you can sit on the outside especially at nights when the moon is shining, its wonderful. If its hot, you can dine inside in a comfortable air conditioned atmosphere. Very relaxing. Good music, accompanied by great food,” Clouden told SEARCHLIGHT. Patrons can go to the Calliaqua based restaurant to enjoy fresh fish done in a variety of ways, including grilled, pan fried, seared or singari style, where the fish is cooked in orange juice. These dishes are served with a sauce of choice, whether coconut curry, creole or carrot and ginger. Stir fried conch, curried whelks, local black fish and lobster also make appearances on the menu. The restauranteur, who has operated Pier 1 and other bars previously, noted that seafood is actually quite healthy and that he is happy to be offering the option to patrons. “Seafood is very easy to cook, it’s not like you have to cook it and wait on somebody to come buy it. It’s something that can be prepared while customers are arriving in restaurant, 5, 10 minutes. Clouden also said that he is one of the biggest importers of seafood in the country and he supplies most hotels with shrimp, crab meat, calamari and pink salmon. 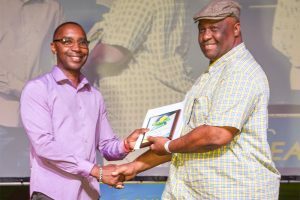 The restaurant owner told SEARCHLIGHT that it was a proud moment to be named the Best Seafood restaurant in St Vincent and the Grenadines especially since 4 Shells had only been recently opened. And Clouden believes that the publicity of winning the award has brought attention to 4 Shells and caused more persons to visit the restaurant. 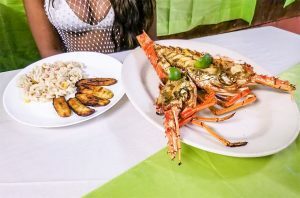 Despite being primarily a seafood restaurant, chicken, pork and beef options are also included on the menu to cater for children and other persons who may not be keen on having seafood. 4 Shells is open 6 days a week, Monday to Saturday from 12 noon to 12 a.m.